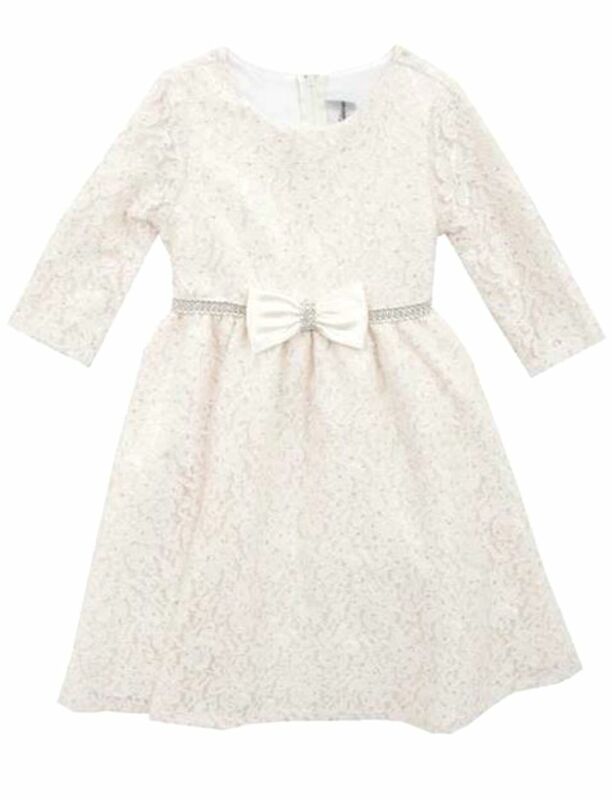 Beautiful ivory lace dress with rhinestone accents and ivory satin bow at waist. Lined. Tea length. Zip closure at back neck.